Beijing is a fantastic city – full of traditional culture and history, loaded with modern lifestyles and technology. Whether you’re making the most of your visa-free transit period or you’re looking to spend a considerable amount of time here, this jam-packed Beijing itinerary will introduce you into China’s crazy capital and show you the best bits! Travelling to China is not something many people even consider, unless they have a layover there. Even then, a lot of people decide to stay in their airport hotel and escape as quickly as they can. It’s not surprising – exploring a huge country like China can be daunting as it’s not as tourist friendly as many other cities in Asia! The language barrier, the local food and the complex culture can seem like great reasons to avoid China, but honestly, it’s such a fun place to travel. 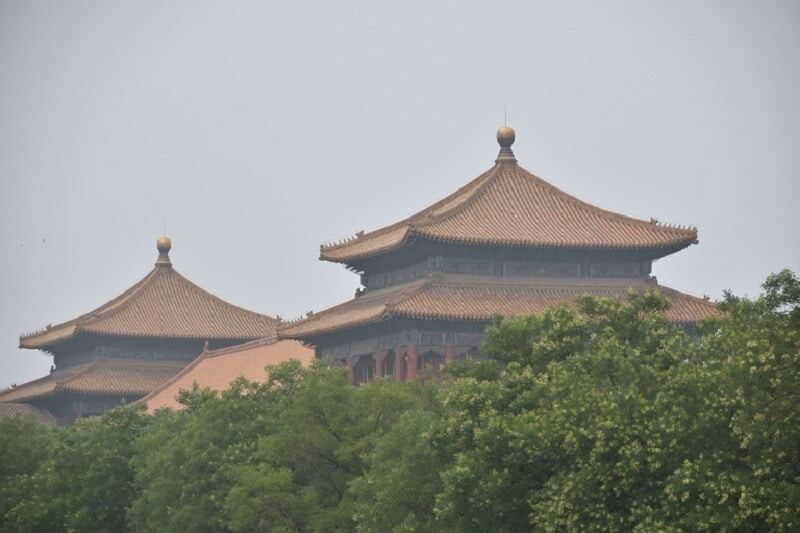 Beijing is especially interesting because of the history dating back literally thousands of years. Plus, there’s the Great Wall! No, you can’t see it from space but why would you need to when you can climb it yourself? We spent two years living in Beijing (and are going back for our third, teaching English!) but we still didn’t see everything that the city has to offer. We did however, create and follow this exact Beijing itinerary as if we were newbies so that it would be easy for readers like you to use. Of course, Beijing isn’t the only place to see in China, but it’s a great place to start if you only have a limited time in the country! One day in the city definitely isn’t enough, so we have put together a 3 day Beijing itinerary seeing all of the best sights and activities. We’ve also added in more things to do in Beijing for if you’re staying for more than three days! Hopefully you’ll get to see all the beautiful places with 3 days in Beijing – check out this complete guide before you go to make sure you’re prepared, and download these apps to make your Chinese trip easier! What are the best tours in Beijing? What are some must dos in Beijing? Is it easy to travel around Beijing? How long should I spend in Beijing? Planning 3 days in Beijing involves a few careful considerations because the timing of your visit could really make or break your whole experience! The first thing that I advise you to do is to AVOID CHINESE NEW YEAR! Before you do any kind of research, find out when the Chinese New Year falls and scratch it out on your calendar. Not only are flights hideously more expensive around this time, Beijing pretty much shuts down because the locals go to their hometowns to visit their families. China travel is near impossible during the new year. Yes, there will be fewer crowds, but that’s mainly because they wouldn’t be able to eat at any restaurants! There are also a lot of extremely loud firecrackers being let off across the city for over a week, so that could get annoying! Another time to definitely avoid Beijing is National Week. Unlike Chinese New Year, it falls at the same time every year so you have no excuse to get it wrong! National Day is the 1st October and is a public holiday across China. People celebrate the founding of The People’s Republic Of China on that day, and the 6 days following it. This time though, Beijing gets an influx of domestic tourists because it’s the capital and there are so many links to the country’s history there. Lines for attractions will be extra long and it’s almost impossible to get a train ticket during this time. Basically, try to avoid any public holiday in China because you’ll have an experience that is not a true reflection of the country. Visiting Beijing in winter is also not ideal. During the winter, temperatures regularly fall below -5° Celsius (23°F). The coldest day we saw was during January and it was -17° Celsius but luckily we were travelling south to Thailand that day! It rarely snows during the colder months as the air is so dry, but you might see some flurries. The worst thing about Beijing in winter is the pollution and the air quality. There will be days that you are advised not to go out and the air will be a gross yellowy-brown. Other times, you’ll see perfect blue skies and the air will be crisp. However, airfare and hotel prices will be cheaper so that’s something to think about when planning your Beijing itinerary. The summer in Beijing is hot and sticky. 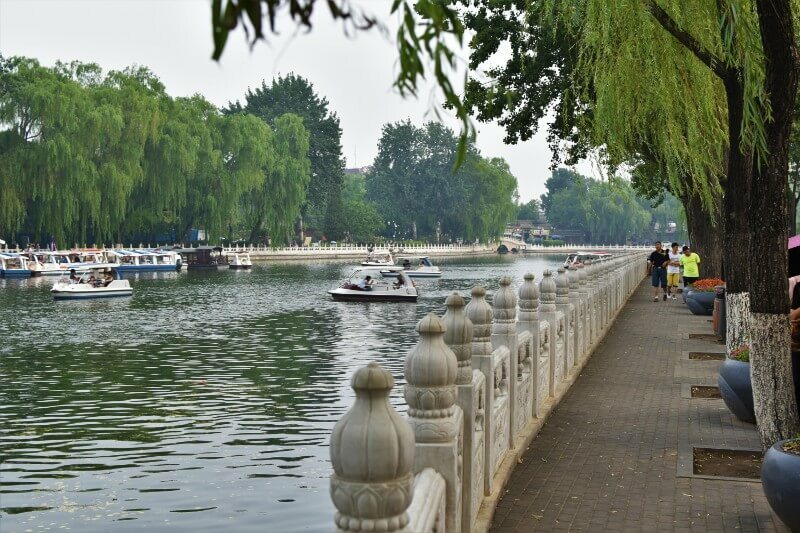 There are some outdoor pools to cool off in, and some gorgeous parks to picnic in however, so summer is still an okay time to visit Beijing. Be prepared for intense thunderstorms though! Spring and autumn are the perfect times to visit Beijing because the temperatures are not too warm and not too cold. The air is clear and you’ll experience fewer thunderstorms. You should be able to buy any clothes and toiletries that you need whilst you’re in Beijing, so don’t over pack. However, as you’ve already read, the seasons can vary drastically so your packing list will differ depending on the time of year that you choose to come. If you are exploring this Beijing itinerary during the winter, you’ll need a few extras too. It also might mean that you pack a few more layers so you might need a bigger bag. Looking at the average temperatures in Beijing in winter, then a warm coat is definitely something you’ll need! If you’re travelling from southeast Asia then this is going to be a difficult item to keep with you. However, I really don’t recommend going to northern China without one, so perhaps you could use vacuum pack bags like these to save space in your luggage. If you are buying a new winter coat, choose one with fleece like this men’s hooded jacket, and make sure that it has plenty of pockets, like this women’s lightweight parka. Onto the dreaded pollution masks! They look ridiculous, they mess up your make-up (or so I’m told!) and they aren’t the most comfortable item you’ll ever buy. However, if you wear a pollution mask for a day, when you take it off you’ll see the brown dust inside the filter and realise how important they are! You shouldn’t have to wear one every day, but on those hazy days, you should make an effort to if you’re outside. When buying a mask, don’t be that person who thinks a tiny bit of fabric over your mouth is going to protect you. You need to choose a mask that specifically filters out PM 2.5, because those are the tiny air particles that can sneak past fabrics and flimsy paper masks into your lungs. It’s so dry in Beijing in winter that you will notice your lips becoming chapped quite quickly. You can pick up Vaseline or any type of lip balm in a healthy and beauty shop like Watsons, but remember that they won’t be cruelty free because of China’s animal testing laws. If you want to bring a lip balm that hasn’t been tested on animals, try this vegan one from Hurraw. Your head and ear will thank you for wearing a warm hat like this thick knitted number during your Beijing travels! Don’t be fooled by those clear blue skies and leave the hotel without it – the reason the sky is clear is because thee wind has blown the pollution away so a hat is a must! A really useful feature of warm gloves is being touchscreen compatible. The technology wasn’t that great when it first came out but toasty gloves like these unisex thermals really are handy when you’re using apps on your phone to help you whilst you’re in China! The only exceptions to being able to buy the things that you need are if you needs to buy trousers or shoes and are a very tall girl (like Jade) or you have dark skin and are looking to buy make-up (like Jade!). We have never seen trousers or skirts long enough to fit someone over the height of around 5″ 7 so if you do think you might need an extra pair of trousers at some point and you’re taller than average in your home country then bring some with you. Jade also found it near impossible to buy foundation whist in Beijing because there is a culture of skin whitening here. There are so many different face creams and lotions to whiten skin, and foundation shades rarely go dark enough for Jade as a mixed race girl to wear. When we moved to Beijing, she just bought a year’s supply of make-up with her and rationed it whilst we were there! If you’re on holiday, don’t think that you can skip packing your make-up and just buy it here if you have darker skin. Beijing has lots of different accommodation options, from luxury apartments to local hutong rooms. Our preferred website for booking accommodation is Booking.com, but we have used Airbnb too! Click here to receive $50 off your first Airbnb stay! The neighbourhoods do vary in Beijing, but realistically the subway system is so good that you’ll be able to visit all of the cool attractions and things to do wherever you stay. Here’s a brief overview of the best places to stay in Beijing though, so that you can pick what suits you best. We recommend staying in Qian’men if you’re a first time visitor to Beijing as lots of the main tourists attractions are accessible from here. Not only that, but accommodation tends to be cheaper around here. It’s full of history as the ancient Forbidden City sits 2km north from the subway station, with the journey surrounded by other important features such as Tian’anmen Square, Mao’s mausoleum and the Monument to the People’s Heroes. There are plenty of shopping opportunities too – you can pick up cheap but decent souvenirs in the local shops. When researching things to do in Beijing, you’ve probably stumbled across the infamous Wangfujing Street. You’re probably imagining yourself snacking on scorpions, starfish and seahorses o sticks, just like the locals do, right? Well, unfortunately, it’s a bit of a tourist trap and you’re more likely to find the locals eating at KFC! 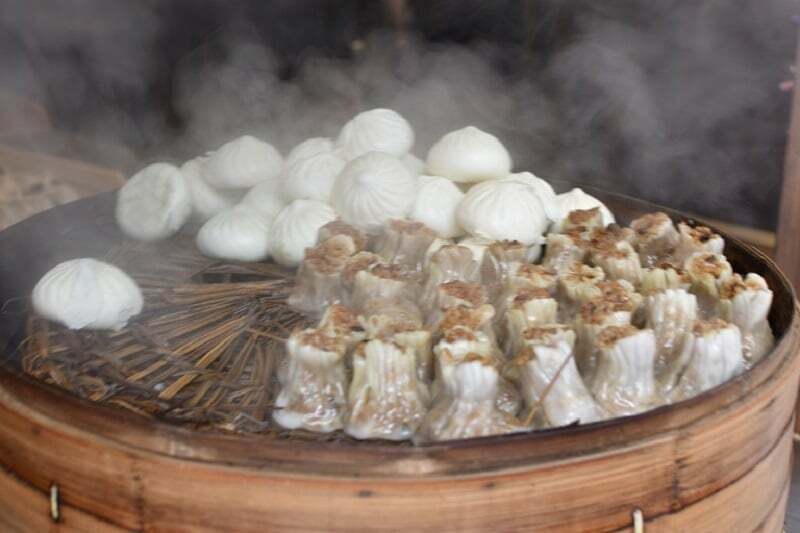 Of course, there will be some nutters eating these weird snacks, but if you really want to try authentic Beijing food you should be on the lookout for dumplings, BBQ lamb skewers and sweet + sour pork! 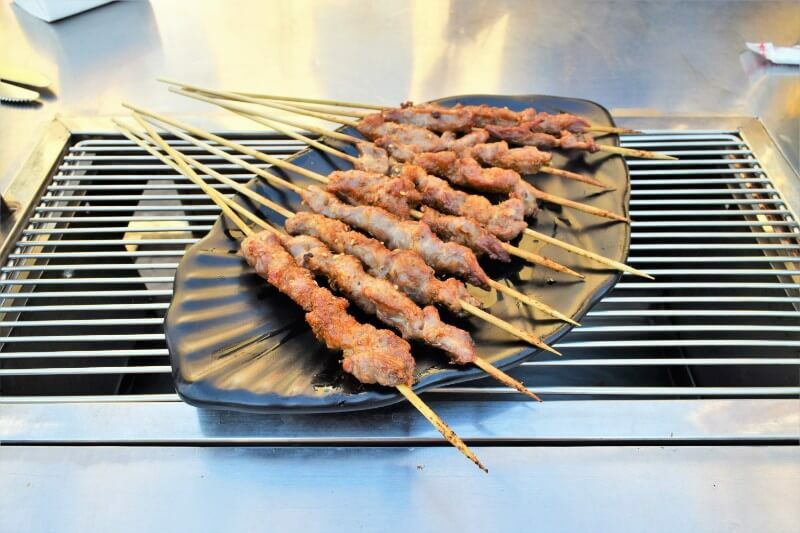 BBQ lamb skewers are our absolute favourite food in Beijing! When we first arrived in Beijing, we ventured down this street in search of local food and ended up with a sub par spring roll, which we spent £6 on!! Looking back, we were ridiculously naive so don’t make the same mistakes as we did! That being said, Wangfujing Pedestrian Street is still a great place to explore. There are plenty of good restaurants, shops, bookstores and souvenir places you can wander round. There’s a subway station directly outside the commercial street so you will be able to access the rest of Beijing easily. The heart of the bar scene in Beijing, Sanlitun is a great place to stay if you’re here to party! There are plenty of bars, restaurants and shops in this area, and many of those are western names you’ll recognise. Go shopping at H&M, grab a burger at McDonald’s and sip on a Guinness at Paddy’s Irish Bar. Or, if you have actually come to Beijing for a true Chinese experience then you can still indulge in an authentic Chinese meal, brave some baijiu (China’s version of hell a white spirit) and dip into the local branded shops. There’s also the famous Worker’s Stadium where you can catch a game of football. Support Beijing Guo’an (the ones in green) if you want to make any friends! This area is famous for the large Hòuhai lake, along with another two smaller lakes that are surrounded by hutongs (narrow historic alleyways with courtyard homes), bars, restaurants and shops. The area has a much more traditional Chinese feel to it compared to Sanlitun, so come here if you want to try to see how the locals live. There is also plenty of street food for you to try along the way too! Fresh off the aeroplane, you’ll want to stretch your legs and take your very own free walking tour through Qian’men. 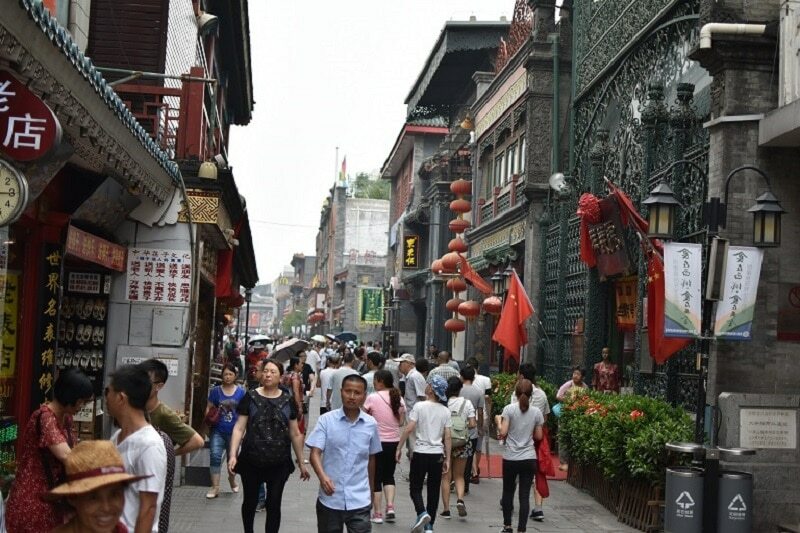 Start at the subway station, walk south through the central Beijing hutongs and through the famous Dashilan Commercial Street. Here you can purchase anything China related, so this is the time to pick up gifts for those back home. The prices here are mostly non-negotiable, however they are also some of the most reasonable in the whole city. The cost of living in Beijing is low, so if you’re here as a tourist then you can find some great bargains! At the end of the road you will find yourself at Qian’men Street, the central road leading back towards Tian’anmen Square. Walk north towards the Qian’mem gatehouse and pass directly underneath. Across the road will be Mao’s Mausoleum. Here you can go inside and see the preserved body of the revered leader. Regardless of what he did in life this is definitely a unique experience. 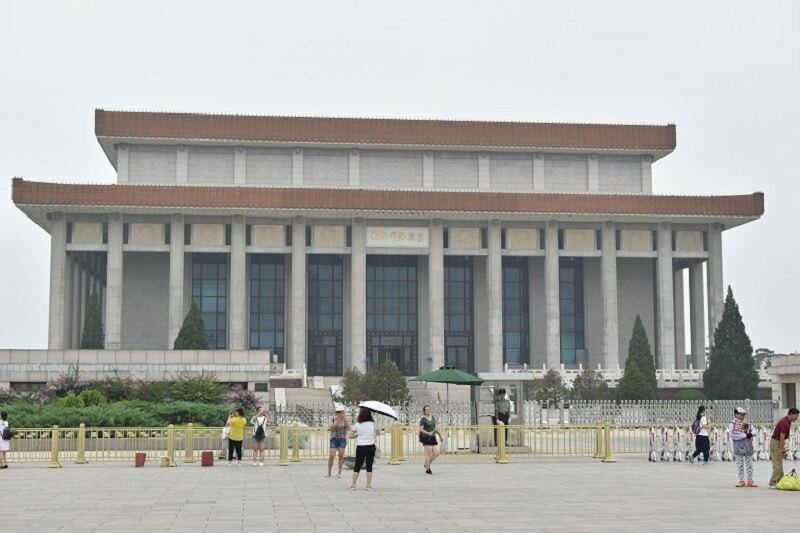 On the other side of the mausoleum is the infamous Tian’anmen Square. It truly is a massive open area. On the right is the museum of China and in the middle is the memorial to all the fallen soldiers in World War 2. 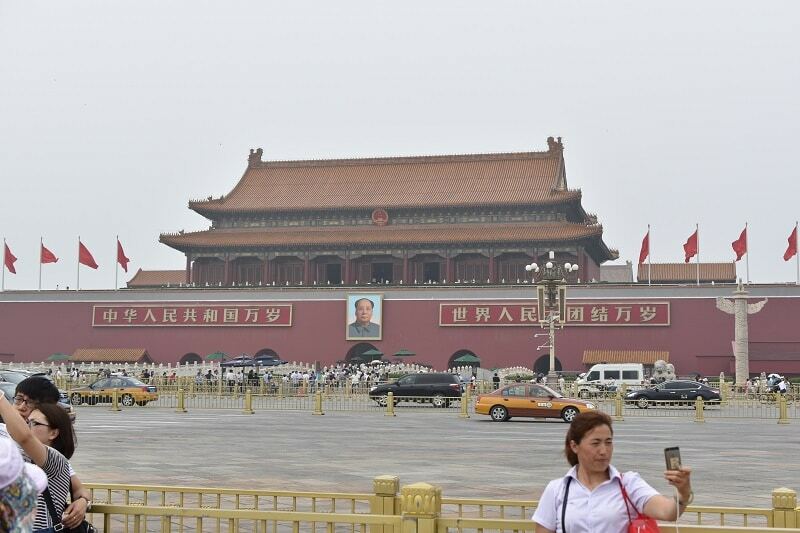 At the far end of the square is the imposing entrance to the Forbidden City. This is the first time you will understand the sheer scale of the palace. The Forbidden City is just awesome! Upon entry just follow the crowds to the ticket offices inside the Meridian gate. It will cost you between 40 – 60RMB (£4.50/$6 – £6.80 – $9) depending on the season. You really can get lost inside this palace so have a good look around. You could easily spend 3 to 4 hours wandering around, peeking in random doors or gardens you might stumble across. There’s a lot of fascinating history and culture to learn about so don’t rush yourself. Keep going north through the whole palace and you’ll eventually get to the North Exit, which is also called the Gate of Divine Prowess. In front of you is a very out a place hill inside of Jingshan park. It’s very cheap to get inside, and after walking to the top of the hill you get a spectacular view over the top of the Forbidden City you have just walked through. Hopefully you get a low pollution day and get some nice photos, unlike we did! This would have been an amazing view without the pollution! It is very difficult to put a time on this first day. Some people might walk straight through all of the areas and it takes 3 or so hours. If you decide to go into every attraction, do some shopping, see the museum and really get a feel for the places it could easily take 7-8 hours. Therefore I have left this as all of the sightseeing for day 1. A fantastic way to end your first day in Beijing is to eat at a Peking duck restaurant. The most famous is Quanjude and you’ll find branches all over the city. Eating Peking duck is quite a theatrical affair – the chef will wheel the food out on a trolley and carve it before you. There will be lots of different dishes brought to your table for you to try too, as well as the traditional accompaniments for your main meal. 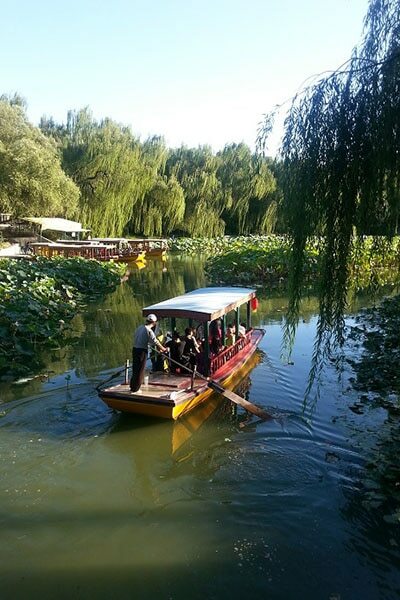 To get to the famous Summer Palace, you can jump onto a boat and take an Imperial Waterway Cruise from the Beijing Exhibition Centre and take in the views from the water. The ride takes you past the zoo but I wouldn’t recommend visiting as the animals are treated terribly. 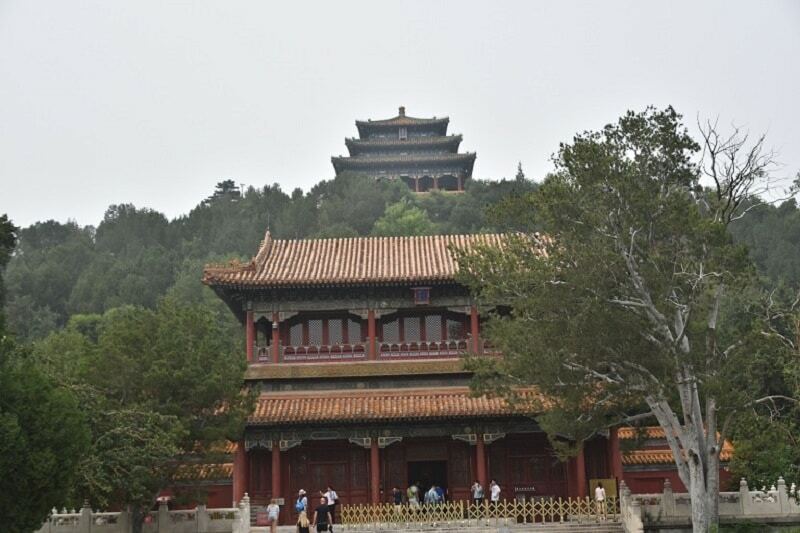 The Summer Palace is absolutely beautiful all year round and is very big. I would advise taking some food for a picnic if the weather permits. The hutongs in Beijing are full of hidden gems and interesting people. Hutongs are residential areas that consist of narrow lanes, with the houses being built in a courtyard fashion. However, there are also shops and restaurants scattered throughout Beijing’s hutongs, and they are really fun to explore. Some have become more famous than others, such as Nanluoguxiang, Skewed Tobacco Pouch Street (Yandai Xiejie) and Wudaoying. 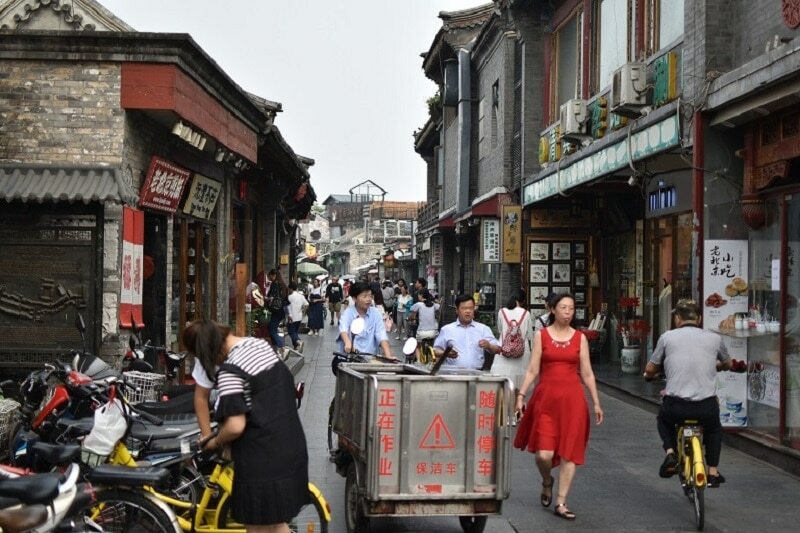 Pre-book a hutong tour and you’ll be taken to the most popular places. If you’re on a strict time schedule, then that might be the best idea as you’ll be driven around and there won’t be any time wasted wandering down some weird alley and into someone’s kitchen. However, if you have more time, then you should definitely spend a day wandering up and down yourself, getting lost and finding cool spots that aren’t overcrowded yet. We recommend starting in Nanlouguxiang, walking up to Houhai Lakes and passing through Yandai Xiejie. Then, get on a subway up to Andingmen station and see Wudaoyaing. You can then take a look at the Lama Temple if you fancy. You’ll find countless rooftop bars, posh restaurants, local street vendors and much more to entertain yourself for the whole day. You certainly won’t go hungry and with plenty of cocktail happy hours to be found, you’ll also likely to get fairly drunk! 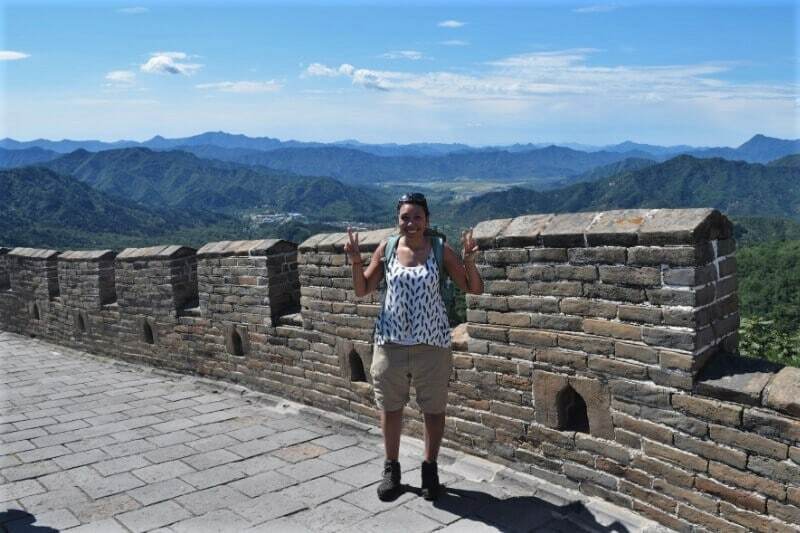 You absolutely cannot appreciate a Beijing itinerary without visiting the Great Wall! It’s an astounding piece of defensive architecture, and the photos don’t do it’s vastness justice. You’ve got a couple of options of where to go on the Wall as it is actually over 13,000 miles long! Clearly, you won’t be hiking the whole thing but you’ll need to choose the best section for your preferred type of day trip. The Great Wall just never ends! The four most popular hiking routes are listed below. Each section of the Great Wall is different, whether that’s because of the facilities, difficulty or scenery. Take a look at the comparison table below to work out which is the best part for you to visit. Section Of The Wall How Long Does It Take To Get There? Can You Go Independently Without A Guide? Is It Restored? Are There Restaurants Nearby? How Hard Is It To Hike? How Crowded Does It Get? How Much Does It Cost To Enter? When you visit the Great Wall, make sure that you take plenty of water with you. The vendors will charge you around 5 times more than the price should be because they know that you’ll need to stay hydrated! 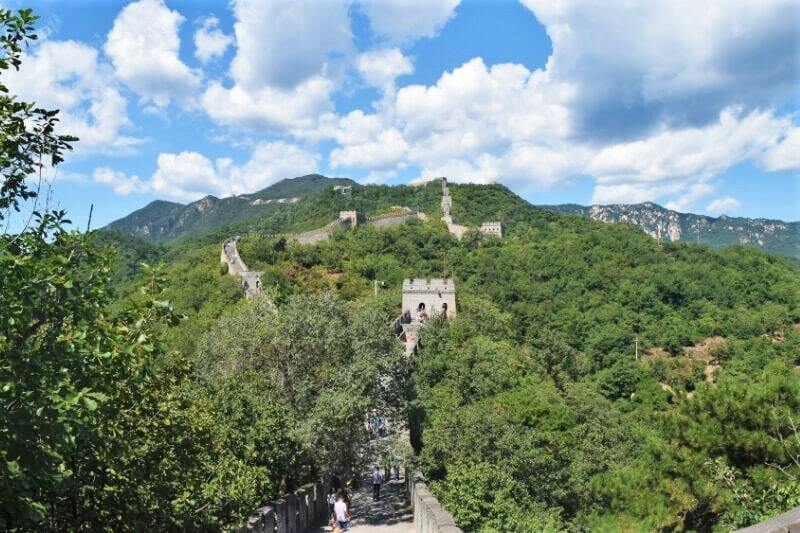 If you’re looking for a relatively easy hike to a popular section of the wall, then go to the very well known and one of the most well restored sections, Badaling. You’re almost guaranteed to be surrounded by tourists (mostly local as this section is popular with Chinese people). You might feel safer around other people so Badaling is a great place to go if you want to mingle with others on your hike. On Subway line 2, travel to Jishuitan Station. Then walk to Deshengmen bus station. I would advise using a map app on your phone so you can find Deshengmen bus station from the subway as it is a 10 minute walk. It doesn’t get more beautiful than this! Then find bus 877, which will be obvious because of the queues of people. I have read that there are many fake 877 busses en route to the bus station. If there is someone trying to convince you to get on the bus then it is almost certainly a fake. The bus costs around 12RMB (£1.35/$1.80). Alternatively, you can take the train from Huangtudian Railway Station straight to Badaling Railway Station. It takes roughly the same amount of time as the bus and will cost you 7 RMB. To get to the station take subway line 8 or 13 and get off at Huoying. The train station is roughly 100m away if you leave from Exit G4. At Badaling, there is a cable car that you can ride up to the top to take in the scenic views, as well as a pulley ride that you can experience for an added fee. There are plenty of restaurants and shops but these are unsurprisingly overpriced. Muttianyu is essentially the best all-round section of the Great Wall. It is beautifully restored, there are fewer people and there are a few restaurants around the entrance if you forget to bring your own food. There’s even a toboggan which I think is the best way to descend the Great Wall! It’s a little bit more difficult to get the Mutianyu independently because there isn’t a direct bus, but it’s definitely doable. You’ll need to get to Dongzhimen subway station first (via line 2, 13 or the Airport Express). The subway and the bus station are in the same huge building, so find the Bus Transfer Hall and you’ll need to get on bus 916 Express. It will cost you 12 RMB and should take just over an hour. You can pay cash or use your transportation card. It looks tiny but you’ll be amazed at how huge the Wall is! You need to get off the bus at Huai Rou Bei Da Jie (it’s the 15th stop). The bus will announce the destination in English but most people will get off here anyway. You can then get a local bus (H23) from Mutianyu Roundabout and then walk to the ticket centre, or choose to take a taxi. Be careful of the scammers – only take a metered cab. It should cost around 40 RMB for a taxi and 3RMB for the bus. For super detailed instructions on taking this second local bus, take a look at this website. There are also cable cars here at Mutianyu, and it’s the most wheelchair friendly section. 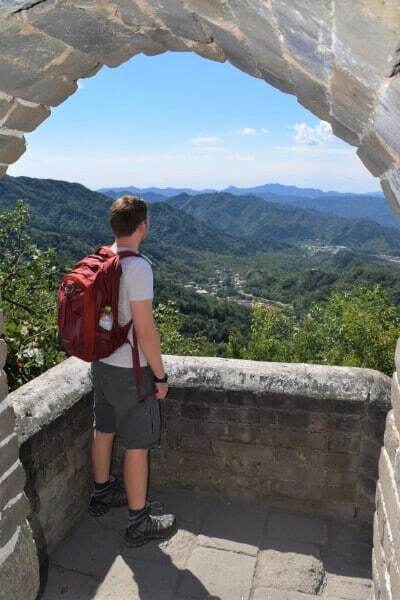 If you’re travelling to Beijing with kids then we recommend choosing Mutianyu to hike, as it’s not too difficult and it’s the safest due to the high-quality restoration. The toboggan, or luge, is also really fun and isn’t too fast or scary. You should visit Simatai if you want to explore the Great Wall at night time. There are official tours and it’s well lit, meaning that it’s much safer than scaling a random part of the wall alone! This part of the wall is also not very restored so it is very much unchanged since the time of being built. It’s pretty wild and steep in places though so you can actually take a cable car up if you’d prefer. You can also only climb this part of the wall if you buy a reserved ticket here. Book at least 10 days in advance so that you’re guaranteed a space. You can also wander round Gubei Water Town as this part of the Wall is right next to it. Got to get our cheese in! There are a few food vendors on the wall but I wouldn’t recommend relying on them for a full cheap meal. Bring your own or, if you’re going into the town then you’ll find plenty of restaurants serving food there. The local bus is 980 but you’ll have to transfer onto bus 51 at some point, and the bus station can be difficult to find. For in-depth instructions if you really want to take this bus, use this website. If you are looking for a more authentic and wild Great Wall hiking experience, then visit Jiankou. There are no food vendors, no tour buses and definitely no cable cars here! Camping on this part of the Wall would be an adventure, but be prepared for some tough climbing ahead! You’ll also have to pay between 5 – 10 RMB to the local villagers to start this hike. Technically, this part of the Wall is not actually open to tourists, so this fee is something you shouldn’t argue! There are small villages surrounding Jiankou where you can find food but most definitely take your own just in case. I wouldn’t recommend hiking this part in hot weather as you’d need to carry so much water and you don’t want to be running out! 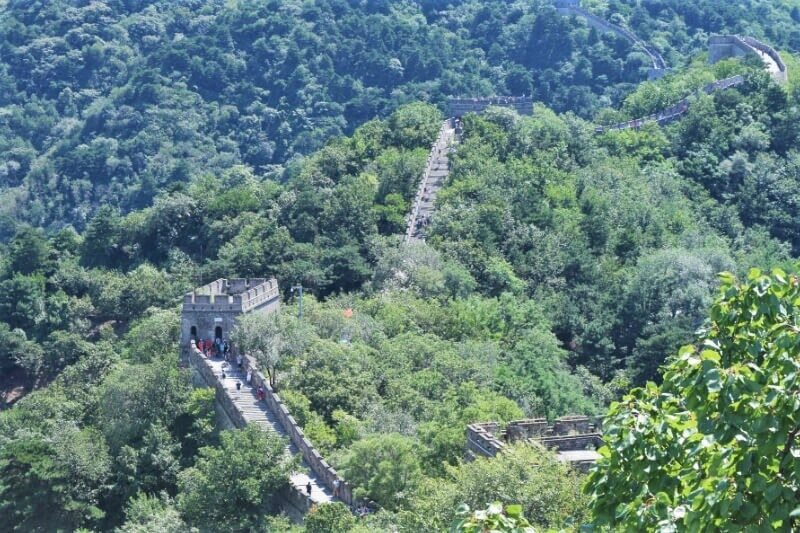 You can also hike from Jiankou to Mutianyu, or vice versa, and that will roughly take around 4 – 5 hours as you’ll be covering a distance of 6 miles (10km). Unsurprisingly, there are no direct buses to Jiankou. You can take a bus from Dongzhimen Station, and then take a local bus to one of the small villages. Or, you could hire a driver to take you to the village. That way, you are guaranteed a quick and easy return journey to Beijing. Not only that but someone local also knows where you are so if you get into any trouble they could send for help! 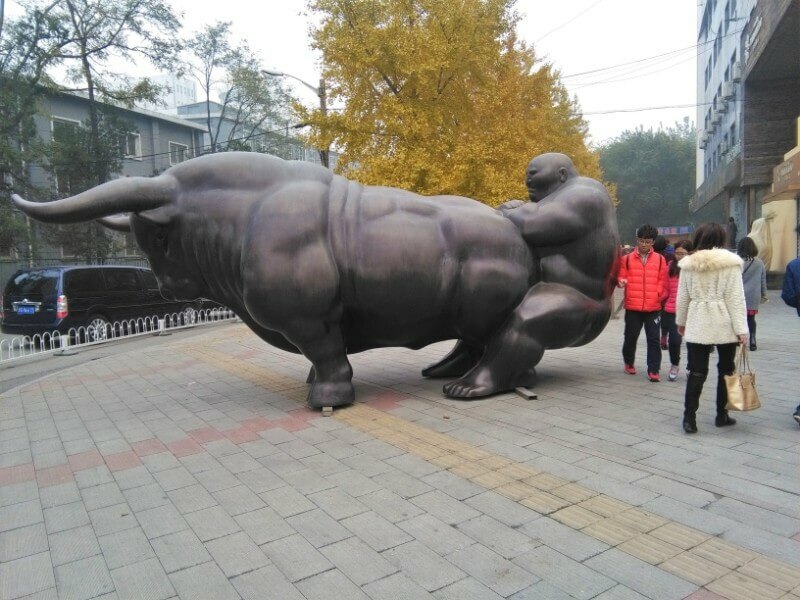 Once you’re in Yujiayuan, you have two choices. You can pick which village you want to start your hike from. Getting from Xizhazi Village to the actual Wall only takes around half an hour, so many people pick that option. However, to get a taxi from Yujiayuan station to the village will costs approximately 120RMB. If you would rather a cheaper taxi ride, go to Wofo Mountain Villa. There are more restaurants and accommodation options here, and it will cost you around 65RMB to get there from the station. All of the prices of public buses will be 50% cheaper if you use a Beijing Transportation Card, which we do recommend. They’re easy to get form any subway station with a booth. You have to add a 20RMB refundable deposit and then you’re good to go. It makes getting around the city super easy as you can use it for the subway too (although the price won’t change on the trains). 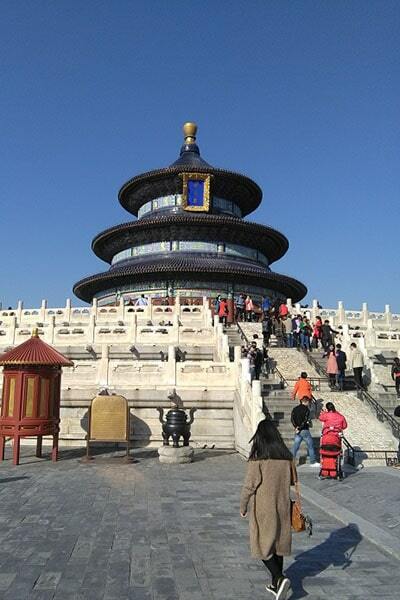 Travel down to Tiantan East Gate station on subway line 5 to reach the Temple of Heaven. This is another famous and very large temple complex that is beautiful to have a walk around. If you’ve got more time in the city or you want to skip a few of our suggestions because you’ve already done them, we’ve added in two extra days of activities for you. As you can now get 6 days visa free in Beijing, this is a perfect amount of time to give you a day of recovering from the flight! A 5 day Beijing itinerary allows more time to explore local attractions and either find new restaurants or return to those that you’ve already enjoyed! You could even take a couple of day trips from Beijing. If you’re into art, this is the place to be. In fact, even if you’re not into art, this area is a really interesting part of the city and we would highly recommend taking a visit. You’ll find galleries, museums, quirky shops, tattoo studios, art exhibitions and more here. It’s best to get the subway (Wangjing South on Line 14) and then hail a taxi to the actual district, as there’s no direct public transport there. You could spend at least a few hours wandering round the exhibitions and studios. There are bars and restaurants too but most will close around 6ish to be prepared to eat before then or wait until you get back into the city centre. The famous Olympic park, built for the 2008 games, has some great architectural structures to marvel at. You’ll find the Bird’s Nest, the Water Cube (particularly impressive at night time), as well as the Forest Park. You can spend a few hours here, as there is 2.6 square miles of land and water to explore! There are two gardens – the Northern and the Southern – that you can enjoy. Hire a bike, take a small boat cruise or even get some tennis lessons with a training partner! Get here by jumping on line 8 on the subway, and get off at the Olympic Sports Centre, or South Gate of Forest Park. 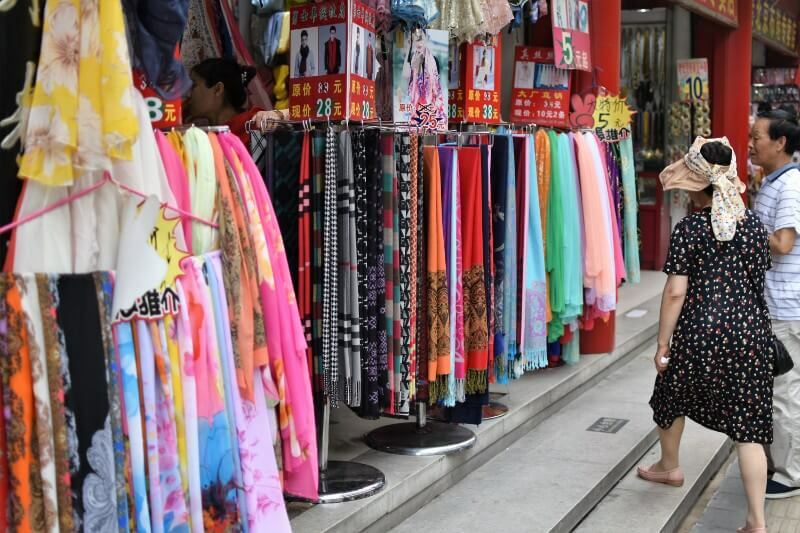 Plenty of people visit markets in Beijing and find cheap fake goods, or tacky souvenirs. If you want something a little more special, then go to Panjiayuan Market. This is where you’ll find the locals, and you can buy some incredible artwork and locally made crafts. There are artists painting simple pieces that you can buy there and then, and there are also beautifully hand-woven embroidery pieces too. Of course, not everything is unique, and there will some items that are extremely highly priced but there is room for a little haggling, especially if you’re buying more than one item from a vendor. However, only haggle if you don’t think the item is worth what you are paying. So many times I have see people haggle for pennies and it can be insulting. Of course, do it if you feel you are being ripped off but don’t be rude! He’s loving life. But also the bags are pretty! There are a couple of food stalls in and around the market where you can buy cheap and tasty rice meals. 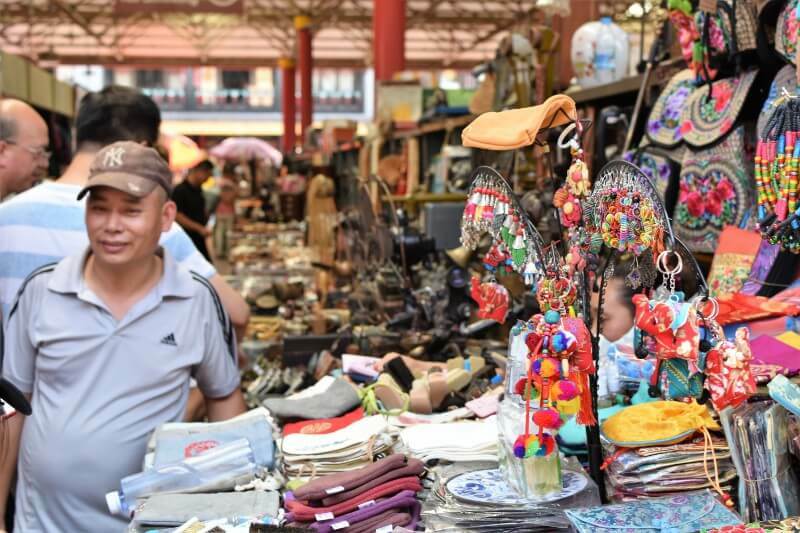 Panjiayuan Antique Market is open every day from 8.30am – 6pm during the week,and from 4am – 6pm on weekends. However, only the permanent shops are open on weekdays, and the market stalls are only open on the weekends. 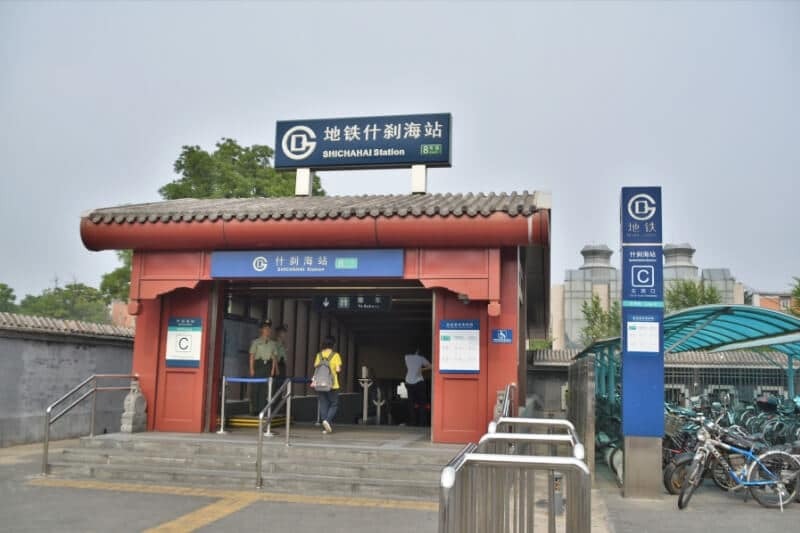 To get to the market, get to Panjiayuan Subway Station on line 10 and leave via Exit B. If you’re here to party and shop for western brands, then Sanlitun is where you need to go. This area has heaps of bars, restaurants and shops that wouldn’t look out of place in London. You’ll usually pay higher prices around here, but if you’re looking for something particular then you can’t complain. You’ll easily find H&M, Nike, Adidas , Mac and the Apple Store. There’s also an abundance of foreign food – pizza places, Mexican restaurants, cocktail bars and more. Sanlitun is not the place to go if you want to experience local and traditional Chinese culture, but it’s definitely worth a visit. 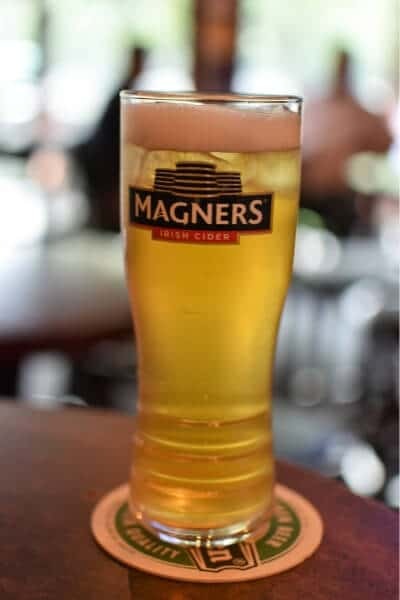 Nothing like a hard earned cider at the end of a busy day sightseeing! The closest subway station is Tuanjiehu on line 10 – use Exit A and turn right at the crossroads. The swarms of foreigners will guide you to where the action is happening! Alternatively, take Exit D and follow the same road in the same direction – you’ll find more hidden restaurants and bars to hang out in. Somewhat surprisingly, Beijing is an incredibly easy city to navigate. As a short stay traveller you have a couple of options that I’ve listed below. Paying by card is less common in China – usually locals and foreign expats use WeChat to pay for everything. Unless you have WeChat and have linked it to a Chinese bank account, you should be prepared to pay for everything in cash just in case! If you’re in Beijing for a short while and want to explore the city without going underground or adding to the pollution problem, then a bike-sharing app is the way forward. Mobike is the most foreign traveller friendly as you can download it in your home country and attach your own bank account to it. You won’t be able to miss these bikes as they’re bright orange and dumped pretty much everywhere around the city. The bikes are usually piled high outside subway stations too. Once you’ve downloaded the app and added your bank account, simply find a bike, scan the QR code on the app and off you go. Once you’ve finished your journey, put the bike somewhere thoughtful (i.e. not in the middle of the path like everybody else seems to do!) and lock it. You’ll hear 3 beeps which mean that your journey is complete and Mobike is calculating your costs. In Beijing, you need to add a refundable deposit of 299 RMB (£34/$44.60), and your journeys will cost you 1RMB per minute. It is extremely easy to get around Beijing using the subway system. As it’s relatively new (it opened almost 100 years after the London Underground with huge expansion in the early 2000s), the trains are tall and wide enough to enjoy a comfortable ride. Also, they’re air conditioned as standard which makes a big difference in the sweaty summer! The stations also are all very clearly marked with overground signs for all exits, which have English and colour coordinated labels too. When you are on the platform, there are Chinese and English signs for you to read, so you can’t really go wrong. When you first enter a Chinese subway station, go to the counter and ask for a Transportation Card. They will need a 20RMB deposit, but once you’ve got it you can top it up when you like and avoid queuing every time you need a ticket. A journey on the subway will cost from between 3 RMB to 9RMB, and you can check out how much it will be either on this awesome website (which also has a handy free app) or by checking one of the ticket machines. The subway will almost always be quicker than a taxi as it avoids the traffic, but it can be awkward getting to certain places if a transit line is closed. The least tourist friendly but also the cheapest mode of transport, buses in Beijing run frequently and and offer 50% off the ticket price if you use a transportation card. However, they will also have a box for your change if you want to pay cash. Unless you know of a specific bus stop that you need to get to, it can be difficult to take a bus because there is no English on the bus stop sign. There is an English announcement, however, so if you can listen out for your destination and remember where you have to get off on your return journey then buses in Beijing can be a good way to get around to places further away from subway stops. It will cost you 2RMB for the first 6 miles and then 1RMB for every 3 miles after that. The prices are also capped at 12RMB however long you are on the bus for. Remember to beep your transportation card at the front of the bus and scan it again when you get off so that your journey can be registered. Unlike most city taxis, Beijing’s cabs are also really affordable. The main problem with them is that they tend to take a long time to get anyway because of the traffic in the city. However, if you don’t want to be lugging bags back to your hotel and you want to be dropped off directly outside, then just hail a cab. Make sure you find an official one – you’ll recognise them by their two-tone pattern and hopefully a light on behind the windscreen indicating that they’re free. Check that the cab has a meter before you get in, and that it is starting on 13RMB. Have your destination written down in Chinese just in case your driver can’t understand you (it’s highly likely that they won’t speak English). Do not get into a taxi that isn’t the standard two-tone colour. It’s a “black taxi” and they’re illegal. They’ll charge hideous rates and could even be dangerous. In a taxi, you’ll be charged 13RMB for the first 2 miles, and then 2RMB per 1.4 miles after that during the day. After 11pm there’s a 20% increase in this fee, but either way your taxi ride will be cheap. If the driver is going at a slow-speed (in rush hour for example) then more will be added, or if you go further than 9 miles there will be extra charges. However, the extra costs shouldn’t make too much of a difference. For example, an hour’s journey from the airport to the centre of Beijing shouldn’t cost you any more than around 100 – 120 RMB. Another way to grab a taxi in Beijing is to use their online ordering service similar to Uber, which is Didi. The only downside to this is that you have to be able to pay on the app, which means that you need a Chinese bank account. As a tourist, you won’t have one of these but if you’re visiting Beijing from another part of China as an expat then it’s a great way of getting a cab, especially for those early morning/late night airport pickups. A lot of taxis in Beijing have their seat belts cut out. I can’t explain it – no one really seems to know or care why they do it, so just watch out. These drivers are also not known for their slow and careful manoeuvring , so if you’re a nervous passenger, perhaps the subway would be a better choice for you! 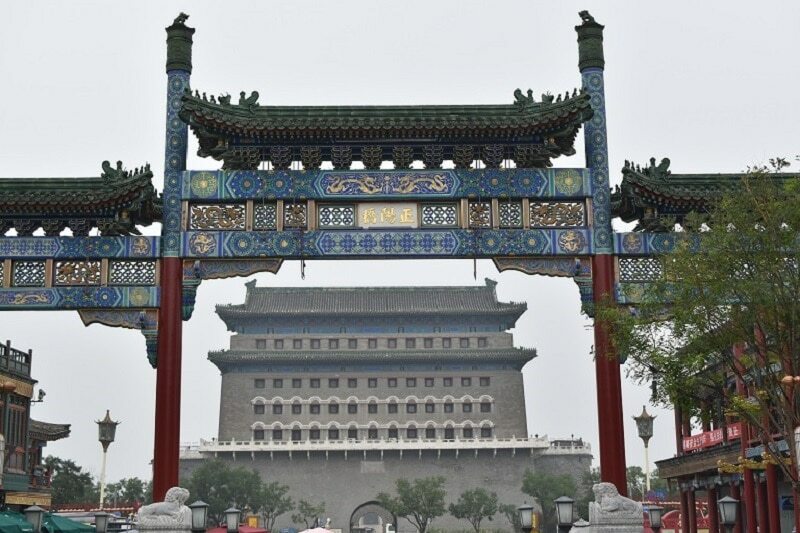 Beijing is such a cool city and there is so much more to see and do that this itinerary. However, if you’re short on time then these are definitely the best things to do in the city! 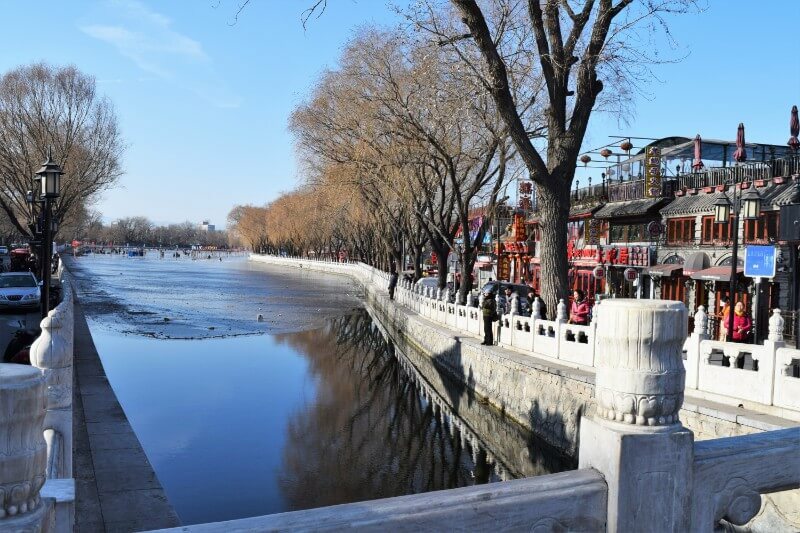 Depending on your accommodation choices, Beijing is also the perfect place to explore on a budget as everything can be done cheaply or even for free, and you can take advantage of the easy transportation. 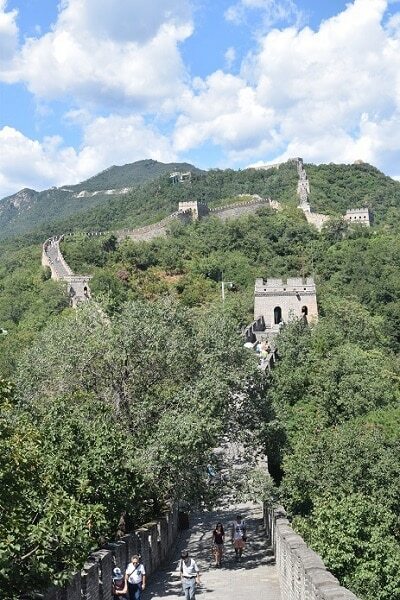 If you are only spending 3 days in Beijing, then I recommend visiting the Great Wall as a priority. 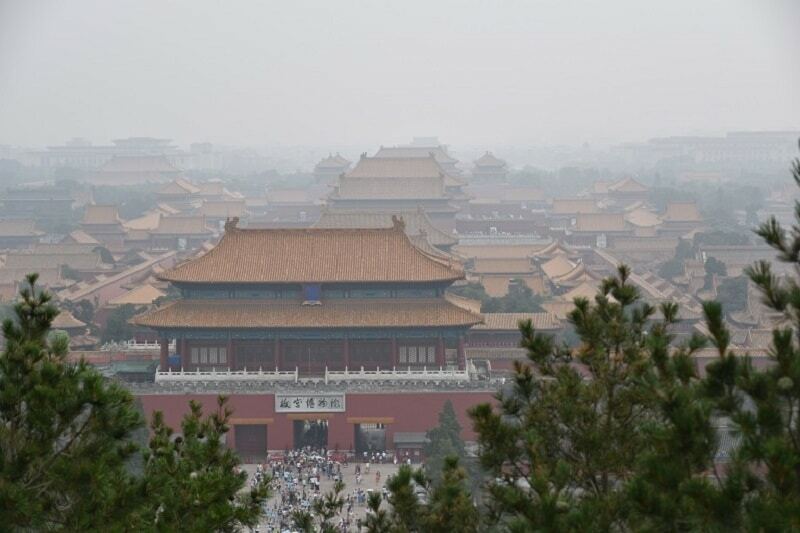 The Forbidden City is also a must-see, as well as Tian’anmen Square. Yes! Pick up a subway card at a station booth and top up the card as and when you need it. The subway in Beijing is quick, cheap and reliable, plus the signs are in English! As foreigners can now get 6 days in Beijing visa-free, I would recommend spending at least 3 here. If you have the time and money though, it would be ideal for you to take advantage of the full 6 days by following our itinerary! Spending just under a week here is perfect because you can take a day to rest or enjoy the city at a slower pace. 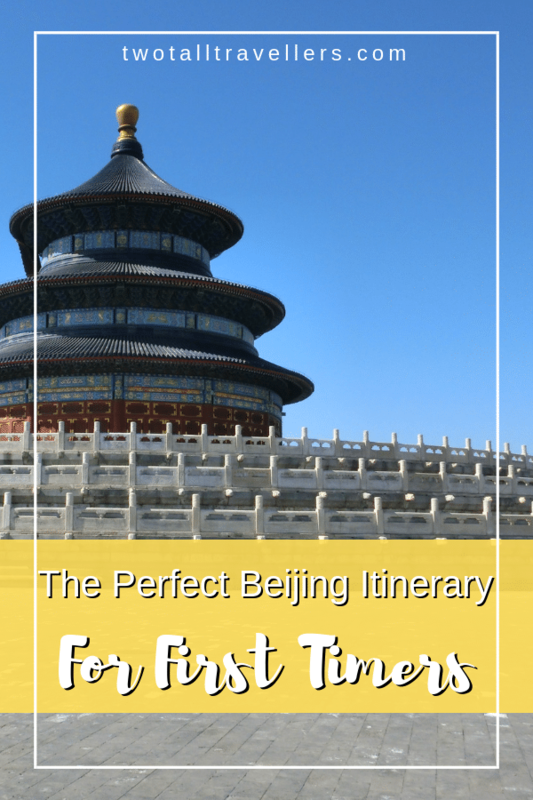 Have you used this Beijing itinerary? Is there anything decent that I’ve left out? Let us know if you have any other Beijing travel tips in the comments below!